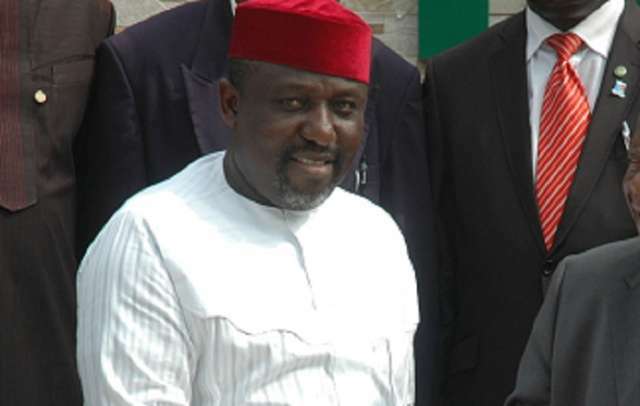 Recently Governor Rochas Okorocha of Imo State was quoted to have told State House Correspondents in Abuja that whoever will take over from him as governor may be stoned by the people of his performance falls below the standard he has set. His words: “I am in this job not for the profit of it, but for the honour and glory of the job. So I want to leave a legacy. I want Imo people to miss me and they will definitely miss me. Believe you me, they have not seen such developmental work before now and they will miss it. “The only problem I have is that anybody that comes after me and does not perform will be stoned. Because you cannot come to Imo State now and say you want to abolish free education from primary to university, they will not accept that. I have spoilt Imo people believe me.” However, Sunday Telegraph learnt from multiple sources in the state that the governor may be stoned when he loses his immunity in 2019, even as they noted that the governor has set the state further back in development. The All Progressives Congress (APC) Senatorial candidate for Owerri Senatorial District in the 2015 General election and former member of the Federal House of Representatives, Hon. Uche Onyeagucha, called on Governor Rochas Okorocha to start sewing his prison uniform, saying he will definitely end up in jail when he lives office in 2019 for allegedly looting the state treasury. The APC chieftain, who said that he was miffed by the alleged comment by the governor that he has spoilt Imo people with projects, accused the governor of littering the state with hundreds of abandoned projects. Onyeagucha, who is also a civil rights lawyer, said that it is time for the deceit unleashed on Imo people by the governor to stop. He said, “What is this nonsense? He said he built this and that in the state. Is it Concord Hotel which he renovated, Ikemba Ojukwu Centre was built by Mbakwe and he renovated it; the Imo State Commissioners’ Quarters, he just changed the roof and renovated it; the State Secretariat was built by Chief Achike Udenwa, he changed the roof when there was no need for that. Today, there are many leaky roofs at the secretariat. Avutu poultry, which he renovated, has collapsed under one year. At the appropriate time, Imo people will beam to the world, the many grisly misdeeds of this cruel administration. “When we in APC went on campaign, we said we will build factories, industries, and create jobs. While there have been many allegations of nepotism to the extent that juicy positions have allegedly been cornered by family members and kinsmen, an Owerri based medical doctor, Dr. Uzo Ewuru, added that the state has become a home of abandoned projects. According to him, not too long ago, the governor announced with pomp and fanfare, the commencement of a state carrier, Imo Air which flew few weeks after the ceremony and stopped operation. Ewuru also said that the moribund multi-billion naira Imo Modern Poultry, Avutu, built by the administration of late Governor Sam Mbakwe, which news went round before the 2015 election that its revitalisation process was almost completed (with a giant signboard erected at the Amambakwe Junction announcing the completion of the project then), has turned out to be a ruse, even as the entire complex has remained the massive forest that has overgrown the place since its abandonment in the 80s. Governor Rochas Okorocha’s mega project, the 44 City Gates, which gulped hundreds of millions of naira, has long been forgotten by the administration. This is even as the governor’s Young Scientists College has joined the long list of the white elephant projects the governor will launch with fanfare but not complete, 20 months to the end of his administration. This came as Hon. Raymond Emeana, a former member of the Imo State House of Assembly and the State Secretary of PDP, has alleged that the 27 General Hospitals reportedly built by Governor Okorocha are actually 26 white elephant hospital projects, 25 of them are merely homes for rodents and criminal elements. He said: “While he owes civil servants, he said he has built 27 hospitals, there are no 27 hospitals, rather, there are just 26 buildings at the sites. “We are now in July, which is about a year and ten months to the end of his tenure, none of those 26 hospitals has been completed except only one that is functional, and that is the one at Ikeduru LGA. It is functional not because the state government completed, it but because they handed it over to a private investor, who is now running it as his private clinic. All the other 25, including the one for his LGA, Ideato South, including that at Mbaitoli where his deputy comes from, the one at Ezinihitte-Mbaise where the state chairman of the party is from, the one at Ngor-Okpala where the SSG is from, the one at Okigwe where the Speaker of the state House of Assembly is from, including the one at Nkwerre where his son- In-law, his Chief of Staff is from. “None of them is functional, they are for you to see,” he stated. Emeana further alleged that the state’s judiciary is now in terrible state of decay, operating without power supply, poor accommodation and without working materials. He dismissed as ‘abracadabra’, the governor’s free education policy, saying with the policy, the position of Imo State has dramatically nosedived in the West Africa Certificate Examinations (WAEC) performance index. He added that the Imo State University has lost accreditation in critical study areas. They also alleged that the governor was not obeying court orders since he assumed office. They noted that courts ordered him to reinstate the chairman of Imo State Council of Traditional Rulers, Eze Cletus Ilomuanya of Obinugwu, Orlu, which he has not done. They also alleged that a court of competent jurisdiction restrained the governor from demolishing Captain Emmanuel Ihenacho’s property, but he went ahead and destroyed the property. When one of our correspondents sought the reaction of the Chief Press Secretary to the governor, Mr. Sam Onwuemeodu, he went off on the reporter, asking if they heard him say so and when. Without waiting to hear the rest of the question, he retorted in a very hostile tone saying, “This is gutter journalism where you people carry lies about people”. He shouted, “Who is your editor? Whoever your editor is, tell him that he is not worthy to be an editor for asking you to get me to react to such nonsense. I beg get off my phone!” He finished aggressively and promptly hung up.